It shouldn’t be a big deal, but it kind of is. Wonder Woman marks the first superhero franchise movie to have a female director. That director is Patty Jenkins, whose Oscar-winning, ferocious feature debut Monster back in 2003 starred Charlize Theron as serial killer (of men), Aileen Wuornos. 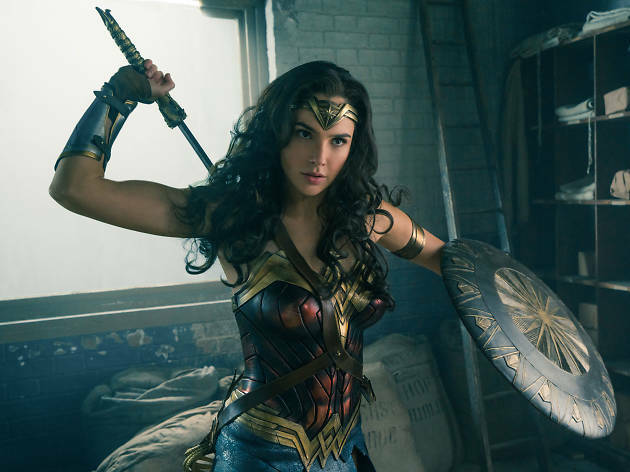 Wonder Woman has been mooted as the topic of a feature film for over a decade, with the likes of Ivan Reitman, Joss Whedon and Paul Feig variously attached to the project with suggested stars ranging from Sandra Bullock to Beyoncé. Now part of the extended DC cinematic universe, the Wonder Woman movie comes in the wake of the critically maligned Batman vs Superman: Dawn of Justice. 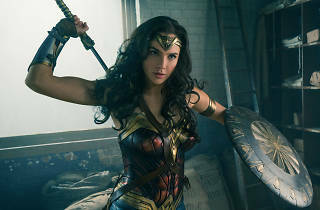 Among the few aspects of that film to garner praise was Israeli actress Gal Gadot’s appearance as the immortal Amazonian warrior, Diana Prince. The new movie jumps back in time to show Wonder Woman’s origins on the island of Themyscira, meeting the US serviceman Steve Trevor (Chris Pine), and her subsequent quest to bring about an end to World War I. Time Out spoke to Patty Jenkins by phone to the Wonder Woman production office in London, where work on the film was wrapping up. Patty, how’s the movie going? We’re at the very end of the line. In fact, I just approved our bloopers reel and laughed so hard I laughed the make-up off my face! It’s been a crazy, long road. Incredibly, this will be your first feature film since Monster, 14 years ago. Do you feel you have been held back in your career? Superhero films I love, and have always loved. And I had been talking to [studios] about Wonder Woman and other superhero films from the start. I was trying to get other films made too, but this is the one that came together. We heard that the producers specifically wanted to hire a woman to direct this film. Yeah, they did. I think that every film, you should hire somebody who you think is right to make that story. It’s too bad that that’s what it takes to get a woman directing one of these movies, but I don’t know – I almost did Thor. I believed it was possible and inevitable, but I’m also excited to do this one for sure. What do you think you’ve brought to it that another director might not? Not thinking about her gender. To me, she’s just a universal character, so I feel complete freedom and licence to make her funny, vulnerable and completely three-dimensional without any fear of that being sexist. But I did! I didn't have to. [laughs] I grew up watching the Lynda Carter TV show. I have nothing but beloved memories of that Wonder Woman, and who she was, and what she stood for and how appealing and lovely she was. Any homages to that show in your film? I tried to get Lynda in the movie, but we couldn't make the right timing work with the right role and so it didn't work out. But I just adore her, and she was a great advisor and friend to the movie. She’s coming to the premiere. And what is Gal like? She’s just such a bright, shining star of hilarious smiles. She’s a sweetheart, but so brave, so strong, such a hard worker, such a great actress. Gal embodies the spirit of something very wonderful and very true to Wonder Woman, just as Lynda did. And Chris Pine’s along for the ride. He's one of the funniest, most charming, fun people to be around. Such an amazing actor, and he became Gal’s and my favourite guy. We sat there having a great time laughing with him. Did you find it a challenge tackling a complicated action film on this scale? Everything in filmmaking is complicated. That’s nothing new to me – I’ve been working in film for 20 years. There's something about action that people feel there’s some line in the sand, whether you know ‘how to do action’ or you don’t. I just didn't experience that issue at all. It’s the same with special effects. It’s only ever things that me and a group of people have to figure out how you’re going to do it, be it make Charlize Theron look like Aileen Wuornos, or fly helicopters down the Chicago river or whatever it is. Some people think action is a huge deal that holds them back from hiring certain people – like often, women – when it’s not that big of a deal. The greatest action director in the world isn’t going to be the one doing the wire rigging – that's not how it works. If you’re a great storyteller, you know what you’re looking for. Action is not its own thing, it’s just a part of being the storyteller you are. Wonder Woman opens Thu Jun 1. What movies are in cinemas now?